Rejuvenate your mind and body with a membership at Wave Health & Fitness, a full-service health club in Boston's Seaport District. 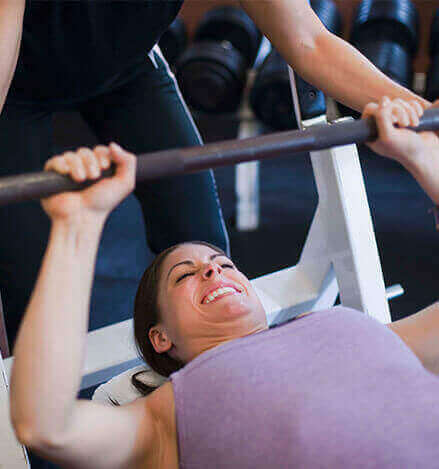 Wave offers high-energy fitness classes, state-of-the-art Cybex strength and cardio equipment, certified personal trainers, a full arsenal of free-weights and an indoor pool and steam rooms. With your hotel stay or membership, enjoy access to Wave's fitness room 24 hours a day, 7 days a week. Wave also offers wellness programs, physical therapy services from Boston Center for Physical Therapy & Sports Medicine, and massage and muscular therapy treatments. Our convenient location in the heart of the Seaport District is perfect for early morning calorie burning, sneaking in a lunchtime workout or sweating off stress after a day's work. Guests of the Seaport Boston Hotel over the age of 16 enjoy complimentary access to Wave during their stay. 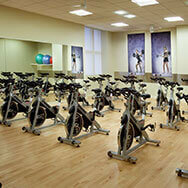 This class includes a 20 minute circuit session and a challenging ride on our spin bikes. 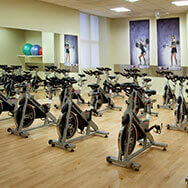 Boost your cardio workout and endurance with this high energy stationary cycling class. Find balance, flexibility, relaxation and meditation at our slow paced yoga classes. Enjoy a dynamic series of muscle movements and exercises for tone and total body fitness.